The unofficial memorial set on the beach of Pembroke in Wales has been vanished. Test your knowledge of J.K. Rowling and her works. elcome to another issue of our magazine about J.K. Rowling’s Wizarding World! We are very happy about this one because started working on the cover article a few weeks ago. We had the opportunity to establish contact with the only person who won an Academy Award for the their work on the Wizarding World films! We were able to ask her a few questions… even one about the third film in the Fantastic Beasts series! We wrote also about the upcoming Illustrated Edition of Quidditch Through the Ages, and we made a few comments about the new character introduced in that edition. Also, did you know someone stole Dobby’s Grave in Wales? We also included a new section: we are going to review young adult books for those who finished the Harry Potter novels and don’t know with which book to continue their reading habits! See you in May! Bloomsbury has commissioned english author and illustrator Emily Gravett to create the images for this new edition. It seems that no Potter book is going to be left behind in being be illustrated. Bloomsbury had already announced that Quidditch Through the Ages was going to receive the same treatment as its siblings Fantastic Beasts and Where to Find Them and The Tales of Beedle the Bard. But now we have the exact date when we will be able to complete the Harry Potter textbook collection as illustrated editions: 1st October 2020. Let’s remember that this book was first published in 2001, sold to raise money for Comic Relief and J. K. Rowling’s international children’s charity: Lumos. Accordingly to Bloomsbury, this new edition profit will be destined to Comic Relief and Lumos as before. Illustrated Quidditch As the artist explains, the three images belong to the same Quidditch team, the Holyhead Harpies. Although we call it an illustration, the first one is what the press release calls “handmade object”: a patch representing the team badge. The second illustration is made in pencil and shows a Quidditch player walking and pointing something to someone, but it is impossible to know without context. The last one could easily belong to a sticker album of Quidditch Players. It shows a witch in the team robes, holding a broom. We can see her name below: Goewyn Grug. This watercolour is the strangest of the three because it shows a character that so far has not been ever mentioned before −neither in any of the Harry Potter novels, nor in the original Quidditch Through the Ages, and not even in Pottermore−, meaning that she is not part of the known Harry Potter canon. We can only speculate that perhaps she has been working with Rowling herself, because she is clearly following the way Jo choses her character names − the name Goewyn is of Welsh origin, and Grug is the Welsh word for “common heather”, also known as Calluna Vulgaris, a type of perennial shrub flower that grows in Europe and Asia Minor. So, following this logic, there is a small chance that Goewyn Grug was Rowling’s creation and she collaborated with Gravett in some of the texts that accompany the illustrations. We will only know for sure if Bloomsbury decides to make an statement, or even if the author speaks up on Twitter confirming the source of this new character and maybe more. Even when we have to wait almost a year and a half to be able to get our hands in a copy, the wait will be bearable. In October of this year, the illustrated version of Harry Potter and the Goblet of Fire is being published, and as before the illustrations are from the hand of Jim Kay. The Woman Who Did It in the world we were building…”. For Colleen, and to everyone who was there, “was so meaningful to be in the room with her!”. When asked about if she got any inspiration from the illustrations of the many different book covers – or even the recent illustrated editions –, she said no, but confessed that in her opinion “they are all amazing”. This makes a lot of sense, as it is almost a norm that costumes for the big screen have to have something that makes them look a bit different to the ones done in pen and paper for the books, they surely stand out and start trends among the fans. It was on the night of February 26th, 2017, when the Academy Award finally went through the Platform 9 and ¾ to land in the Wizarding World. It was the fourth Academy Award won by Colleen Atwood, but the first for any Harry Potter film. The Best Costume Design of the 89th Academy Awards went for Fantastic Beasts and Where To Find Them and Colleen Atwood with her magic did what until that moment was deemed as the impossible. It was “pretty amazing and unexpected” she remembers, “you never know with this award” she adds. And it’s true, the original eight Harry Potter films got 12 nominations, but never won anything. Colleen should know she is special and that she broke the jinx, though she humbly adds “The work of so many of my collaborators is honestly Oscar worthy!” with a lot of reason as whoever that watches the Fantastic Beasts’ movies can notice the extenuating and detailed work that all the Production Design has been done on them, the Set Decorations, the Art, the Costume Design and the Makeup Department work together to bring Newt Scamander’s story to life. After The Crimes of Grindelwald, she returned to work with Tim Burton, for the recently released Dumbo film, an live-action remake of the classic Disney movie. And after that, comes the obvious question. Has she started working for the third installment of Fantastic Beasts? The answer in her own words: “I actually have been waiting to start, so at the moment is a big unknown for me!”. So it seems that Colleen is as much as anxious as we are, patiently awaiting for the magical words to be pronounced. One thing is sure, though… You may do not like the Fantastic Beasts film series, Minister. But you can’t deny, they got style! After the film and crew of Harry Potter and the Deathly Hallows the Freshwater West Beach in Pembroke became a major tourist attraction among the Harry Potter fans, as this was the same location to bring life to one of the saddest scenes of all the Potter’s films and books: Dobby’s Death. The actual Shell Cottage that the production built was removed after the filming was completed, but the grave that set Elf’s final rest spot remained. Fans around the globe visited Pembroke only with the purpose of giving some respect to their beloved character, until now that the stone was found missing from it’s spot. The Art of Creating a Grown-Up Hary the Elf a sock. He also made an appearance on Harry Potter and the Goblet of Fire, he was the inspiration behind Hermione Granger’s S.P.E.W. movement involving giving rights to the House Elves. But it was his pivotal moment on Harry Potter and the Deathly Hallows, where the renegade Elf served Harry in more way than one, first aiding in the quest to find Mundungus Fletcher − the thief of the Horrocrux Locket, and then by saving Harry, Ron, Hermione, Griphook, Ollivander and Luna from the Death Eaters and Voldemort himself in a dangerous movement at Malfoy’s Manor. Dobby ‘the Free Elf’ was one of the most innocent and beloved characters, his death was one of the most suffered among the fanbase. Last year Rowling apologised for killing Dobby through her Twitter account, where she wrote: ‘It’s that anniversary again. This year, I apologise for killing someone who didn’t die during the Battle of Hogwarts, but who laid down his life to save the people who’d win it. I refer, of course, to Dobby the house elf’. We hope that the tombstone returns soon to its rightful place. 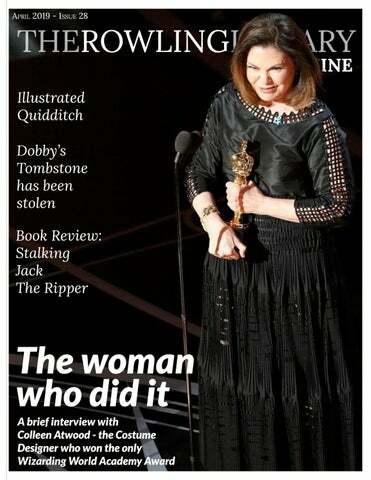 Dear Reader, Thank you for reading this issue of the Rowling Library Magazine. We work very hard each month to put out quality content, free to all who would like to read! However, to provide all of this to you, it does come at a fee to us. We want to always keep our content free so we ask that you help us by becoming a Patreon! With just a small monthly donation of two dollars, you can become a Patreon of the Rowling Library, and help us to continue providing exclusive and up to date information on all of the works of J.K. Rowling. You also get early access to our work and can give feedback or suggestions on our current projects. You will also receive THE DAILY PROPHET NEWSLETTER in your inbox three times a week! We hope you enjoy the work that we do and continue to download the Rowling Magazine! Happy reading! 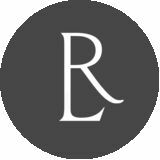 â&#x20AC;&#x201D; The Rowling Library Team and our current Patreons: Brenda Flores DĂ­az, Cathy Sanders, Chelsea Chung, Christian Shahmardian, Eugenio Corsi, Hannah McNamee, Jeffrey Leyh, Jenn Cuellar, John Livingston, Josephine Glazov, Kenneth Montfort, Margaret Conway Flowe, Mary Beth Murphy, Rachel Hammer, Rebecca Caesar, Rena Klein, Renjie Fu, Stephanie Varnell , Susan Sipal, Suzanne Lucero and Vicky McKinley. In The Rowling Library we believe in new voices and the possibility to live new adventures, so in this new section we will review those books that have teens, young adults and adults fangirling all over the world. The second one is just as awesome and I dare to say it’s almost like reading a Sherlock meets Potter and Austen, then Prince Dracula, Hunting Prince Dracula is one of the best sequels that I have ever read. Sometimes people tend to say that second instalments or continuations can destroy a good story but this is not the case. HPD in my humble opinion surpasses SJTR. «I dreamed of a day when girls could wear lace and makeup —or no makeup at all and don burlap sacks if they desired— to their chosen profession I am yet to read the third instalment that is without it being deemed inappropriate.» Escaping from Houdini, but I daresay that I will love it as much as I am already loving SJTR «The constable eyed me with distaste. I buried my and HPD. The fourth and final book is named hands in my skirts, gripping the material until Capturing the Devil and will be released this I was positive I’d rip it off. Oh, how I despised year in September. On April 1st Kerri Maniscalco remaining silent under such awful judgment. announced that soon the cover is going to be I’d like to remind each man who held such poor revealed. And Barnes and Noble is going to be opinions of a woman that their beloved mothers launching a box set containing the four books. were, in fact, women. So, as to finish this new section. Do I recommend I didn’t see any men running about, birthing the to start Stalking Jack the Ripper? Of course! I world’s population then going on to make supper highly recommend to add this new saga into and tend to the house. Most of them buckled to your library’s shelves. They are really awesome their knees when the slightest sniffle attacked and they can help us pass the time until we them. return to Hogwarts once more, and if you already read them, do share your opinions with There was more strength held underneath my us in our social networks. muslin layers and well-perfumed skin than in half the men in London combined. I forced my mind to Until our next number, Mischef Managed! stay focused on our task, lest my emotions show plainly on my face.» One of the things that I loved the most is the Facts Section that Maniscalco always adds at the end of each adventure, there she explains in detail the real-life facts involving the cases or the places that she recreates in the fiction. I expect fully great things in the upcoming future from Maniscalco’s hand. Her writing is marvellous and it has the magic to transport you in time, visiting dark alleys and trying to solve mysteries that in our world are yet to be resolved. So, if you loved the mystery of the Harry Potter books and the crime-solving plots of Cormoran Strike, then you must read this books. What book? Who Said It? Test your knowledge of J.K. Rowling and her works by answering the questions below. The solutions are at the bottom of the page. “Muggle neighbours heard bangs and shouting, so they went and called those what-d’you-call-’ems – please-men. Arthur, you’ve got to get over there” Ron, however, was to be working with Hermione Granger. It was hard to tell whether Ron or Hermione was angrier about this. She hadn’t spoken to either of them since the day Harry’s broomstick had arrived.